Inviting everyone over for Sunday Brunch seemed like a brilliant idea. Come Saturday night, you’re ready to make reservations instead. Don’t! You’ve so got this! 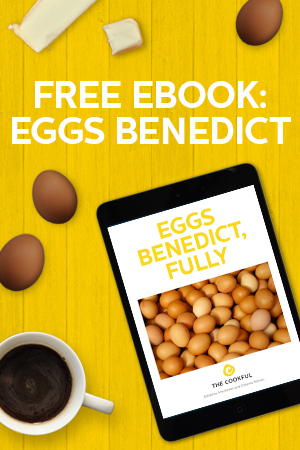 Find out what you need to know to make Eggs Benedict for a group here. 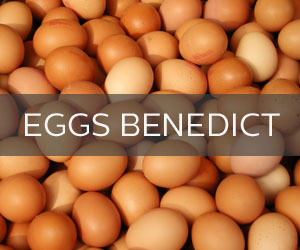 Even the most seasoned cook can get a migraine when thinking about making Eggs Benedict for her Sunday brunch pals. 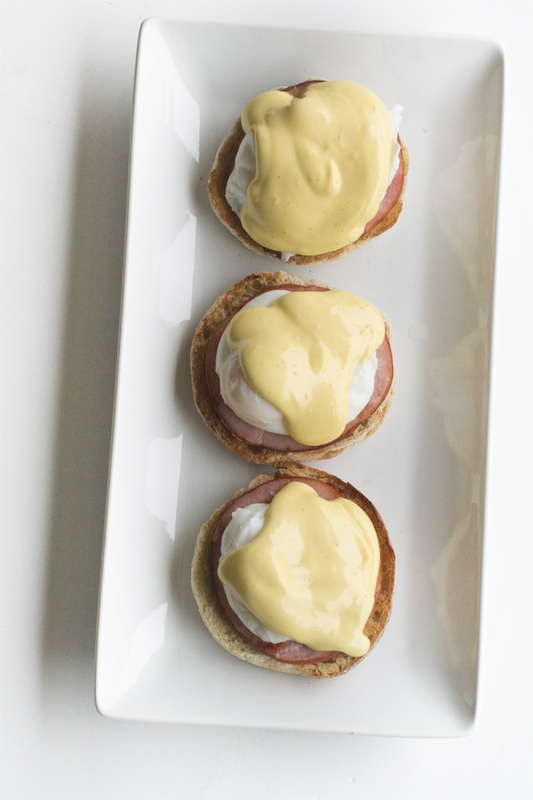 Let’s put together all the components and multiply by five (or however many you’re entertaining) and make Eggs Benedict for your guests. It can be done simply and quickly with one set of hands. Grab your sieve and follow the fool-proof egg-poaching method here. As the eggs are ready, use a slotted spoon to transfer them to a big bowl of ice water. 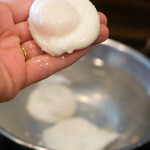 Continue to poach eggs and add them to the ice water until you have the number required. 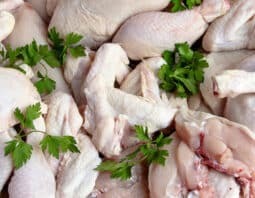 Store them in the cold water in the refrigerator for up to 24 hours. Fast forward to the next morning. Fill a large bowl with hot tap water. 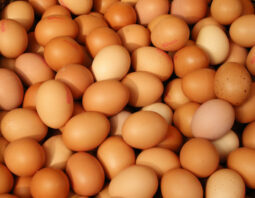 Use a slotted spoon to transfer the eggs from the cold water to the hot water. The eggs will heat up there and be nice and warm by the time you need to assemble the dish. Toast and butter the English muffins. You can use storebought ones or our homemade ones here. 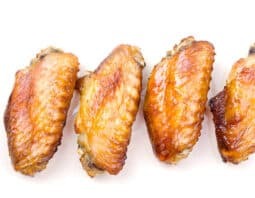 Place in a single layer on a baking sheet and keep warm in the oven for 10-15 minutes. Fry the Canadian bacon in a frying pan over medium heat. 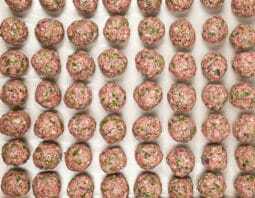 The meat needs to be in a single layer for it to cook properly. Flip occasionally, until lightly browned on both sides. 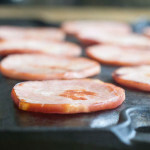 Place the Canadian bacon, in a single layer, on another baking sheet. 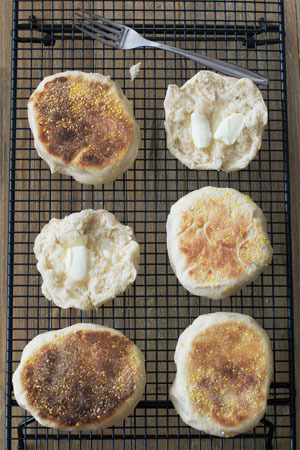 Keep it warm in the oven alongside the English muffins. Add egg yolks, lemon juice and cayenne powder to a blender. Pulse. 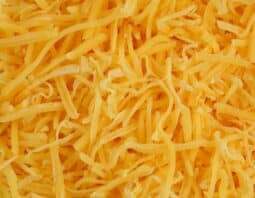 Microwave some butter until melted and very warm. With the blender running, drizzle in the butter. Let it run for an extra 30 seconds. 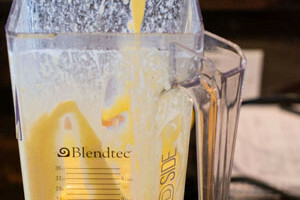 Here’s the Blender Hollandaise recipe for exact measurements and instructions. Set up an assembly line. Place two toasted English muffin halves on each plate. Top each with a slice of Canadian bacon. Use a slotted spoon to scoop up a poached egg. Blot the bottom of the spoon on paper towel to prevent the egg from being too watery. Pop it on top of the Canadian bacon. Spoon still-warm hollandaise sauce over top of each egg. Grab your Bloody Mary’s and head to the table for a feast.